ParkMeApp Introduce fully digitized and automated Smart Parking Solution as an IoT Service which compatible with any Parking Spot. This is a Prototype of the real ParkMeApp Digital Parking Solution. At the entrance, a digital screen with the summary of the parking spot will be display. This will show the exact available parking slots. 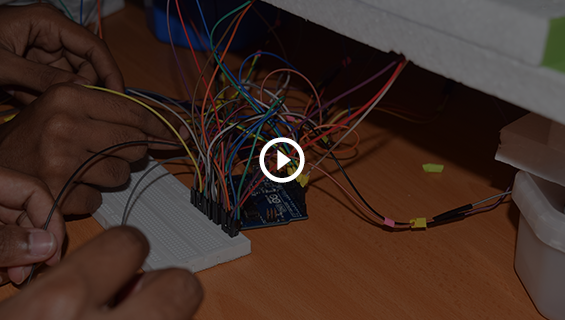 As a vehicle enters the parking spot, the sensors will detect the spot being filled and this will be updated. When a vehicle leaves a slot, this activity will be identified as well and the availability of slots will be updated. The entrance gate will also be operated by the ParkMeApp IoT Solution. Time of entrance and leaving of vehicles will be detected with sensors and POS activities will be handled accordingly. Power of ParkMeApp on your Parking needs! Smart Parking Solution by ParkMeApp introduces to provide a wide range of services more efficiently. 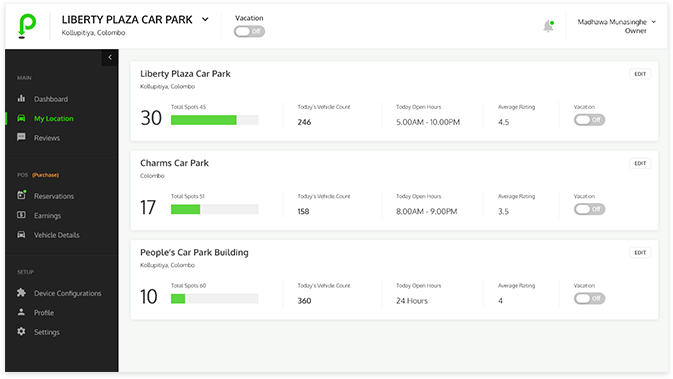 ParkMeApp IoT based Parking Solution will be triggered based on real-time events and activities. Do you have available parking space? Need a boost? Well, ParkMeApp is your best choice. Become an owner and make your parking space easily accessible to others and START EARNING! entering and leaving. It will also detect the vehicles as they are parked on a particular spot and update the availability of slots. Additional facilities such as the food court and other such advertisements will be displayed on the entrance screen. Promote other services and facilities that you offer! Payments, reservations, availability of slots and daily activities will be instantly updated. Parking lot is full this will be identified through sensors and the gate will not let in anymore vehicles until a spot opens up. Owners can easily handle the activities. The dashboard is simple and easy to manage. parking. This is a massive step towards smart cities. Technology and functionalities of this, are highly innovative. 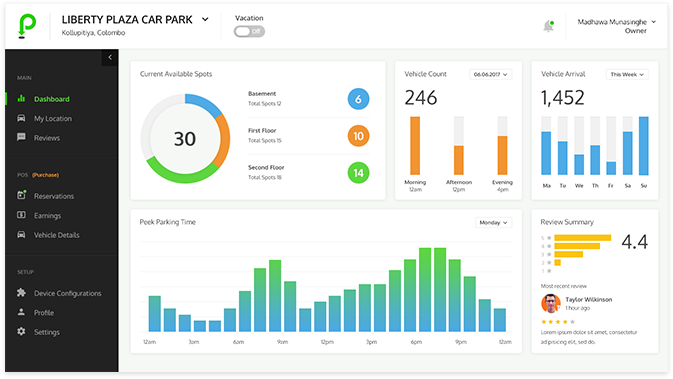 ParkMeApp facilitates with fully customizable cloud based system which interconnected with IoT system where owners can view the vehicle count, check peak parking hours, set vacation, manage POS system activities, add parking slot and also easily manage the owner’s account. Activities are presented graphically for better understanding and Statistics can be filtered accordingly to know exactly what you want. User can get detail information on earnings of the parking spot , User Reviews and many more statistics on one view. ParkMeApp will Double the efficiency and productivity of your parking space. When it’s Smart, its efficient! 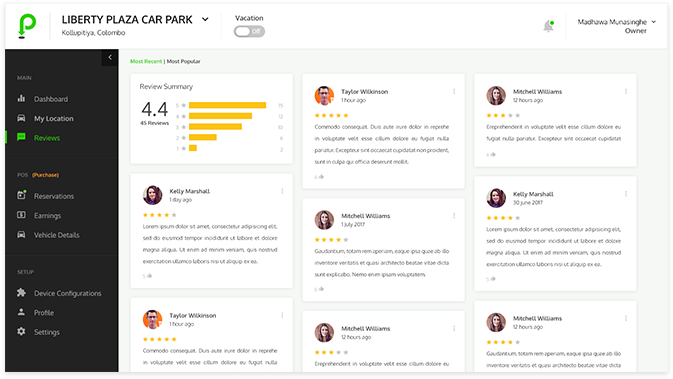 With ParkMeApp , users have left better reviews and have had a better parking experience. Drivers are happier to see the availability of parking space beforehand. 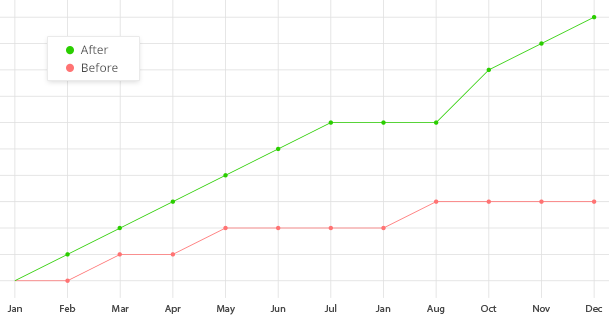 ParkMeApp have increased the parking visits and the revenue. Get started with ParkMeApp Today!